Capture the essence of Beijing and the Great Wall in one day. Be amazed by the biggest city square in the world. Skip the ticket lines at the Forbidden City and get off the touristy route to explore its hidden halls. Hike on the magnificent Great Wall at Mutianyu. Our one day private Beijing tour is specially designed for people who are tight on time, such as for business and layover tourists. This private tour is hassle-free. You will not have to navigate local transport or wait for your tour group. We&apos;ll maximize your time. Moreover, one-on-one time with your personal tour guide will make the experiences come to life. Marvel at the architectural splendors of the world&apos;s largest imperial palace. Conquer the Great Wall at Mutianyu to be a “great man” (in Chairman Mao&apos;s words). Visit the world&apos;s largest famous square - Tian&apos;anmen Square. The highlight of our stay in Beijing was the one day tour we did with William as our guide. He worked hard to make things as interesting and easy for us continuously. His knowledge of the sites we saw was vast and he had in depth history to share with us. Your private guide will pick you up in your hotel lobby at 8 am. If you would like to start from the airport or the train station, we are happy to arrange a pick-up there according to your schedule. A comfortable and private vehicle (air-conditioned and non-smoking) with an experienced driver will be ready for you to explore the city. Your beautiful journey will start at the Tian&apos;anmen Square. 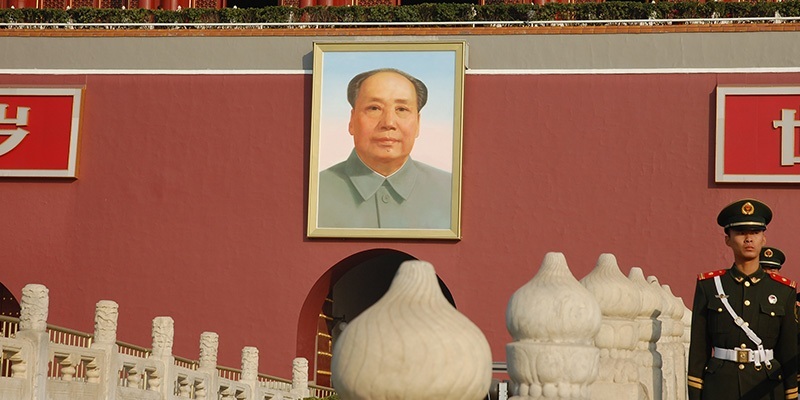 There is a lot of history to tell about Tian&apos;anmen Square. The famous buildings in the square have witnessed many important events in China. Your guide will provide you with a commentary about the history and architecture as well as anecdotes about the square. Enjoy your time taking photos there. Later, start to enjoy the highlights of the day, the Forbidden City, which was home to 24 emperors in the Ming and Qing dynasties between 1420 and 1912. You don&apos;t need to wait in a line for the tickets, as we have booked them in advance and you will get in directly through the Meridian Gate. There&apos;ll be plenty of time to take photos. Discover the deep secrets of the emperors and concubines during the Ming and Qing dynasties in 12 places, while other group tours only visit 6–8 places. The walking is graded as being easy, but it is for about 2 hours (2 kilometers). After visiting the Forbidden City, begin your tour of the Great Wall from Beijing. You&apos;ll travel for 1½ hours from downtown Beijing to the Great Wall at Mutianyu. Have a rest and enjoy some delicious Beijing dishes for lunch at our well-selected local restaurant, Xinshuangquan. Your guide will help you order the dishes according to your preferences. If you would like to skip the lunch to have more time for the sites, we are happy to change the itinerary for you. Hike on the Great Wall at Mutianyu in the afternoon. In the afternoon, we will hike on the Mutianyu Great Wall. This section is ranked top on TripAdvisor among all the Great Wall sections due to its picturesque scenery and beautifully restored architecture. This is the most child-friendly section, with various ways of visiting it. In order to save your time, we will arrange a round-trip cable car to ascend and descend the wall, instead of spending about 40 minutes on steps... twice. We recommend “the most beautiful and interesting part of the Great Wall” — between the 14th and 23rd watchtowers — acknowledged by hikers as "the golden route". Your personal guide will walk with you on the Wall to give you some information and to help you if you want photos with the Wall. You will have some free time to walk around after that. Enjoy your time and take in the spectacular scenery for about 2 hours (2–3 kilometers). Walk at your own pace. It is possible to stay longer on the wall or finish earlier as you wish. Descend by a cable car from tower 14. Take a shuttle bus back to your private vehicle. Going back to your hotel in Beijing normally takes about 1½ hours. We will transfer you to your hotel at the end of the tour. If you would like to be dropped off at any other location in downtown or need to catch a flight or a train, we are happy to help you arrange it. This Beijing and Great Wall day tour is recommended for layover tourists who have a stopover of more than 15 hours. If your stop is only for 10–11 hours, we suggest shortening the tour. You can also skip the Forbidden City and just have a day trip to the Great Wall from Beijing. The price you are given for reference assumes your hotel is located within the 4th Ring Road of Beijing. The price may vary according to the location of your hotel. There will also be extra costs if your tour starts from or ends at the airport/cruise port. This tour is very flexible. You can alter the itinerary, replacing any of these sites with others located in the city, and extending or shortening it to make it your very own one-day Beijing tour.